With the rise of 4K televisions and 4K devices like the Amazon Fire TV, consumers like us find ourselves asking where to find 4K content. Why is 4K content not easy to come by? Because it needs to be re-mastered to 4K from the original film source. Still, it seems like 4K content should be easier to come by – or at least find. That’s why there are sites like ClawTV.com. The movie companies that own the rights to the movies need to step up and continue to re-make these movies in Ultra High Def 4K so the consumers can enjoy them and purchase them at a growing rate and lower price points. Currently the 4K content is splintered into about a half dozen main 4K streaming services and some 4K Remastered Blu Rays, so it can be tough to know where to find 4K content. ClawTV.com: This site is new in the 4K TV game, but they sure are the big player in the arena. They index the 4K content that’s available from all the main 4K streaming services – and 4K Remastered Blu Rays you’d find on Amazon. You can browse 4K movies by category, search by Title, browse by title, and browse by Source (Netflix / Amazon / Ultraflix / 4K Remastered Blu Ray / Direct Download ). Q1 2016: As of 2016, we have several options for streaming 4K content from a variety of sources, including but not limited to Netflix, Amazon, Ultraflix, and YouTube. We also have 4K Remastered Blu Rays. We can also directly download 4K content, but 4K content tends to create such large files that the current transfer rates of the Internet are not yet ready to handle 4K transfers. Some 4K movies can be over 15GB – which, these days with bandwidth transfer caps and all – can be steep when we’re talking $ per Gigabyte. This is why many 4K content lovers will enjoy the semi-UHD quality of 4K streaming services like the ones below. 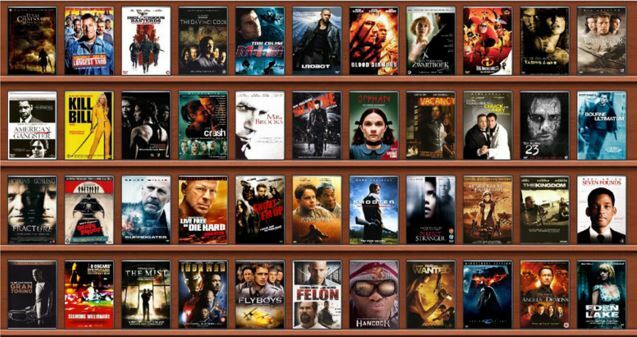 Ultraflix carries over 100 titles in their 4K movie catalog. Netflix has roughly 30 or more TV shows and movies in their 4K content library. Amazon currently has about 20 movies in their 4K content catalog. 4K Blu Ray is a somewhat “clouded” term: As of 2016, “4K Blu Ray” means a movie that was mastered in 1080P resolution, then upscaled to 4K. 4K Remastered Blu Rays are what we have as of early 2016. True 4K Blu-Ray discs will hit the market soon. YouTube carries just a few full length (typically independent) 4K movies, but at least several hundred short 4K clips. 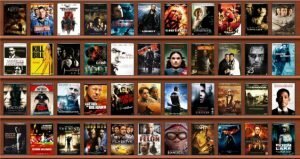 If you look hard, or use a site like ClawTV.com, you’ll find sites that’ll show you where to find 4k Movies for direct download. A few examples of this are Tears of Steel and Big Buck Bunny. Movie companies will be releasing more and more great 4K movie titles on a regular basis. So keep watching tech news sites like this one to see 4K content as it becomes available!